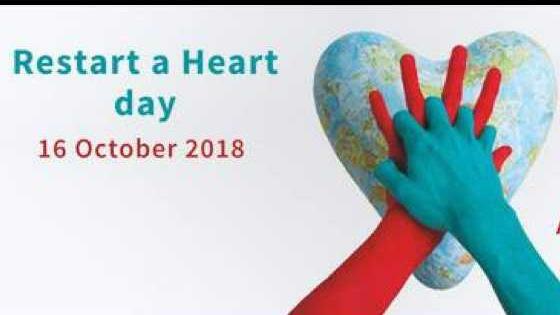 The World Restart a Heart Day will be marked in Malta on Tuesday with an event taking place at Freedom Square Valletta between 10am and 2pm. The day was chosen by the International Committee on Resuscitation to promote bystander CPR (Cardiopulmonary resuscitation) on a global platform. The focus will be on hands-only CPR training and the importance of initiating immediate action to help save a life from cardiac arrest. When CPR is performed immediately it can double or triple a cardiac arrest victim’s chance of survival. The campaign theme: All Citizens of the World can Save a Life! reinforces the idea that Hands-Only CPR is simple and effective and can be performed by anyone. In Malta in 2016-2017, bystander CPR occurred in just 40% of cardiac arrests and the overall survival rate was only 5%. Many people don’t perform CPR because they don’t know what to do or they are afraid of hurting the person. To help increase the likelihood of people performing CPR in an emergency, the Malta Resuscitation Council has recommended Hands-Only CPR, which has three easy steps. Step 1: Check for responsiveness; Step 2: Call 112 and Step 3: Compress / Push hard and fast in the centre of the chest until help arrives. The Malta Resuscitation Council (MRC) is organizing the event with the Red Cross, St John, MMSA, Valletta 18 and Valletta Local Council and sponsorship by Technoline. Restart a Heart Day was founded with the support of the European Parliament. This is the first year that the campaign will be a worldwide initiative.